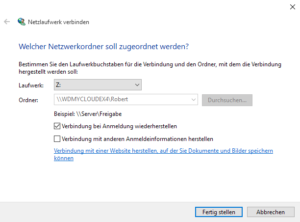 This is an abriged translation of my post Tutorial: So richtest du Dropbox auf einem Netzwerkpfad ein. To read it in its original German language, follow this link to the second page of this post. I tried to use the Dropbox App that was shipped with my WD My Cloud EX 4 (affiliate-link). But unfortunately, this app was not really working. It downloaded my files from Dropbox’ servers but was not able to upload any new files stored in the Dropbox folder on the network storage. So I had to find another solution for using Dropbox on my NAS. When installing the Dropbox desktop app, you’ll quickly notice that it does not allow itself to use a folder on a network drive. Only drives from the local harddrive are allowed to host a Dropbox folder. At the end of this article, you’ll be able to outsmart Dropbox’ installation routine. 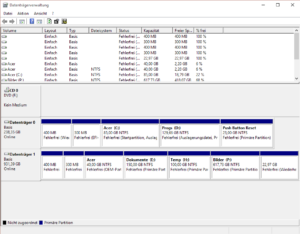 The only things you will need is a network drive or NAS in any form (obviously), some free hard disk space on your local machine and administrative rights for your Windows machine. You might already have an idea, which drive letter your Dropbox folder should be installed to. If not, now is the time to make decisions :-)! The first thing you are going to do is changing any hard drive partition’s letter to the future drive letter of your Dropbox folder. As an example, I took the letter N:\. 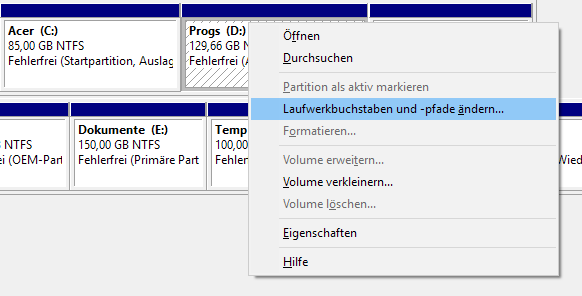 First, create a new partition with Windows’ disk management tool and assign the drive letter N: to it. If there’s already an existing drive N:, you would have to change that letter to something else in advance. 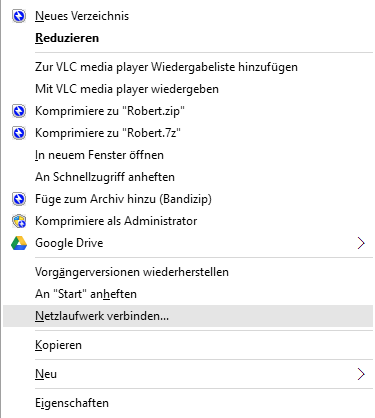 If you already have any other drive, where temporarily changing the assigned drive-letter is not too risky, you could change that one to N:. But be warned: You will not be able to change the drive letter of the C:-drive (where usually Windows resides) and any other hidden drives. In case of some Windows bug’s reason you might be able to – you should not do so! Eventually, you have your drive N:\ (or whatever you chose) ready for setting up your Dropbox. Second, you will install the Dropbox desktop app. Choose the drive letter you created in the first step as target and let the Installer do its work. Upon completion of the installation, the Dropbox app will ask you for login credentials or to create a new account. Go ahead, log in and let the magic happen. As soon as the Dropbox app is ready, close it. There’s no need to download all you files at this moment. So skip that process and make sure that Dropbox is not running anymore. Check for its icon in the taskbar next to Windows’ clock – if it’s still there, right click and close Dropbox. It is essential for the next step, that Dropbox is not running in background! To be safe, you could also check Windows’ task manager for any process named Dropbox and close it the hard way. 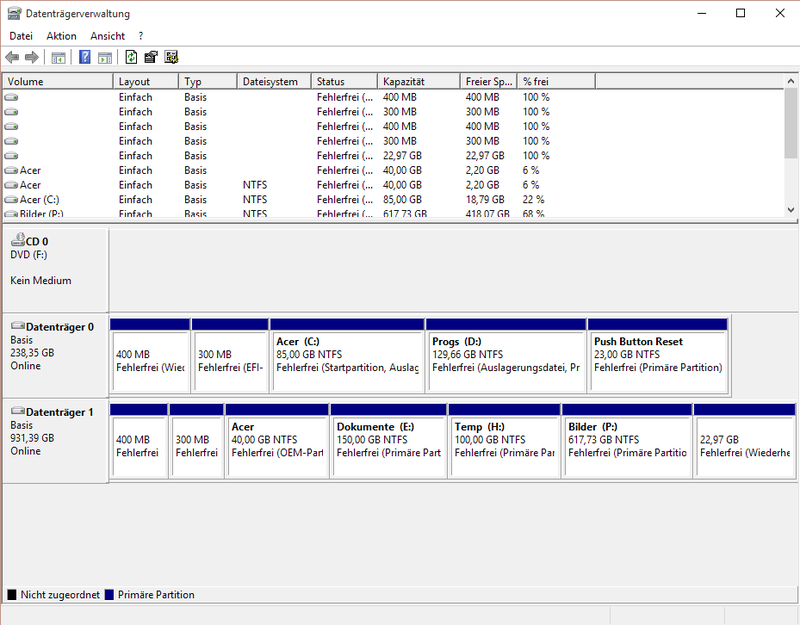 Third, you return to Windows’ disk management tool and re-assign the drive’s original letters. If that’s not possible at this moment, reboot your machine. But remember to close the Dropbox app again, after rebooting. Usually, it will automatically load on Windows startup. Now you can connect the network-folder on your NAS as a network drive, for which you choose the drive letter you installed your Dropbox with. Right-click on the designated (network) folder in your Windows explorer and choose “connect as network drive“. You could also go through Windows explorer’s menu and choose “Connect network drive” and enter the path manually. 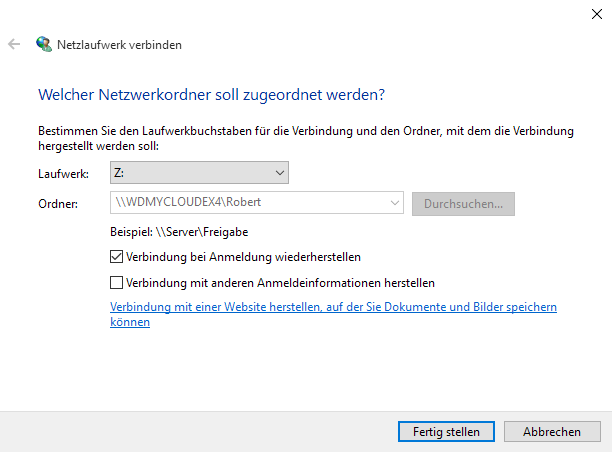 Important: You should activate the checkbox to “reconnect this drive upon login” (or whatever it says in English). This way, Windows will always try reconnect this folder as the drive upon startup when it is available. Now you should create the subfolder, you placed your Dropbox files in – by default it is named “Dropbox”. When you now start the Dropbox app, it starts syncing and will begin to download all your Dropbox files to your NAS. Dropbox’ website to download indiviudal files.